Organic & locally grown? At a gas station?? Really??? 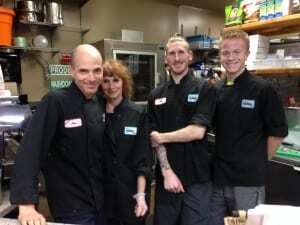 Who ever heard of organic, locally grown, healthy nutritious fast-ish food at a … gas station?? Meet Jake Angel, Executive Chef of Jake’s Pickup, a restaurant / diner / dive at the Chevron gas station at the northwest corner of highway 305 and High School Rd. In this mouth-watering interview, Jake tells BCB host Channie Peters how and why he has brought this new paradigm of healthy wholesome cuisine to a gas station food store on Bainbridge Island. He describes what healthy delicious fare he offers up six days a week to everyone from the ferry traveler, to local regulars at the counter, to those of us needing a break from cooking. 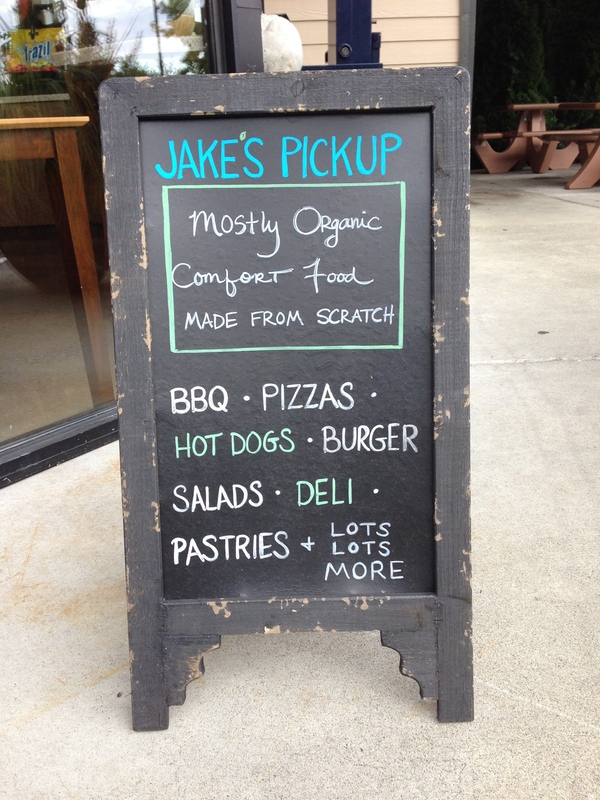 Jake’s kitchen sources their ingredients from local farms, local breweries and even local hens. 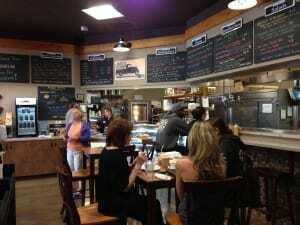 The pizza dough, buns and bread for his signature pulled pork sandwiches and hamburgers are baked fresh by Jake and his mother every morning with organic flour and local eggs. Jake’s is the surprise treasure in the back of the food store at the Chevron gas station near the northwest corner of 305 & High School Rd. And beware the (addictive) sconut, a cross between a scone and a donut, invented by Jake and baked daily with organic flour and eggs laid by local hens. This is truly a family business. Working at Jake’s Pickup are Jake’s mother, his sister Roxanne, and occasionally his niece, Jersey, who is still too young to wield a knife in the kitchen, but she makes all the delicious jams on the counter. The whole family participates in catering as well. 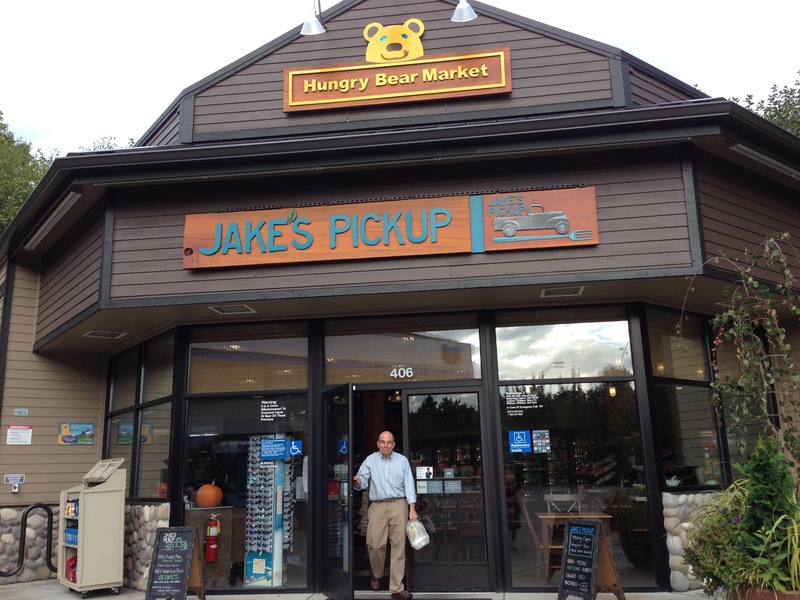 Learn more about Jake and Jake’s Pickup at his website where you’ll also find menus for eating in or picking up. At Jake’s Pickup, much of the food is sourced locally, and much is organic and freshly prepared on site. There are gluten-free choices … and “sconuts”. 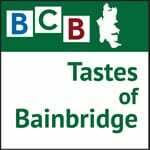 And, for more conversations on local dining — plus stories of local foods, farming and gardening — watch for additional episodes of Tastes of Bainbridge on BCB. Credits: BCB host and text: Channie Peters; BCB audio editor and social media publisher: Barry Peters.